Michaels felt so strongly about the raw and pure emotion in the original demo, which was engineered on a laptop on his tour bus by longtime friend and music director Pete Evick, Michaels decided to release the original demo instead of the studio version. This is the first single from Michaels since his modern country crossover “Girls on Bars,” co-written by two-time CMA award winner Luke Laired, which was released in 2015. “Girls on Bars” boasted the highest number of views of any debut single ever on CMT. 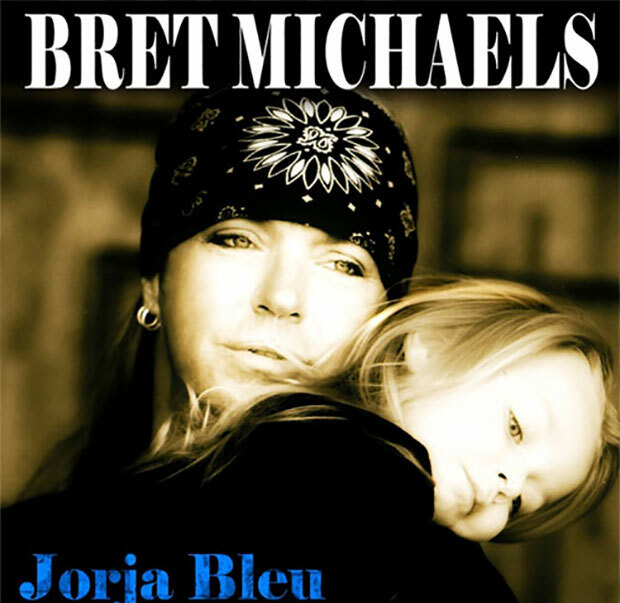 The highly-anticipated new single “Jorja Bleu” which in many ways is the sequel to his song “Raine,” which is titled after his oldest daughter, drops on Tuesday, April 7th on iTunes and all other digital retailers and subscription audio formats. The release comes as Michaels and his Poison bandmates — Rikki Rockett, C.C. DeVille and Bobby Dall — reunite after a five year hiatus. The band has teamed up with Def Leppard and Tesla for a summer tour and is set to kick off on April 8th in Manchester, NH and wrap on June 25th in Indianapolis, IN.